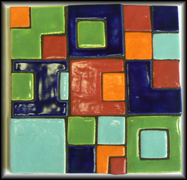 Ceramic mosaics are a colorful way to decorate your home or yard. Because of the variability of the clay pieces, each creation is one-of-a-kind. 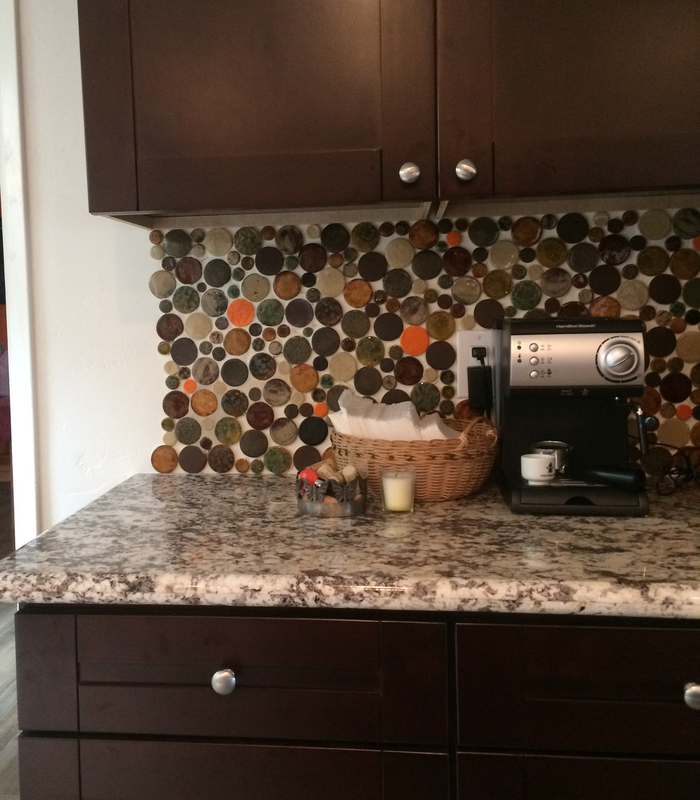 Indoor mosaic projects include artwork that can be framed to hang on a wall, designs that decorate tables, bowls, vases, and more. 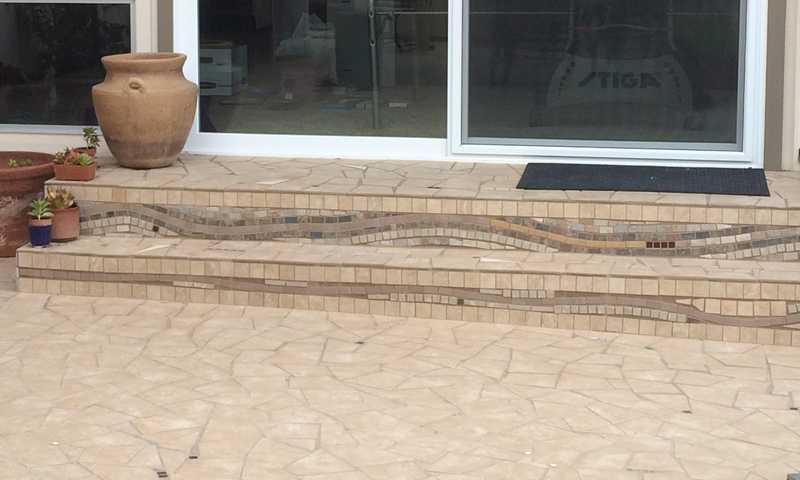 Outside mosaic projects include planters, birdbaths, swimming pools, retaining walls or a standalone piece of garden art. Take a look at some of the pieces we have created so far or create a custom piece to fit your space and individual style. "Butterfly Mosaic" "Palm Trees Mosaic" "Blue Pinwheels Mosaic"
"Mosaic Duck at Pond" "Mosaic Flower in Frame" "Mosaic-Pebble Wine Caddy"
"Colorful Squares Mosaic" "Metallic Mosaic Ball" "Synapse Firing Mosaic"
"Beach Ball Mosaic" "A Color Study Mosaic"
"Stars Galore Mosaic" "Mosaic Starfish" "Hearts in Square"
"Mosaic Welcome Sign" "Mosaic Rectangular Vessel" "Mosaic Vase"
Click here to view more of our designs.